Browse our selection of quilting supplies below for all the accessories, tools and notions you could need to make your latest quilt! 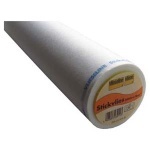 Tape makers from 1/4" to 2" in size, ideal for quilt bindings and stained glass quilting. 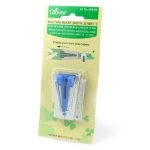 The classic miniature iron from Clover, ideal for applique and bias tape work, with interchangeable tips. 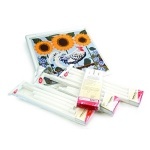 Permanent and temporary fabric pens and pencils, fabric erasers and chalks for marking materials. Vilene Bondaweb, batting tape and the always useful Reynolds Freezer paper by the roll or the metre! All the sewing tools that don't fit in anywhere else! 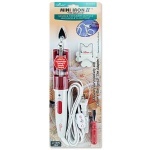 Seam rippers, fabric glue, needle threaders and more. 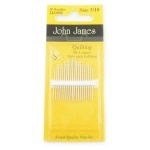 Applique needles, quilting needles and general household needles - every hand sewing needle in every size you could need! 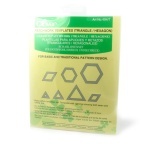 Patchwork templates in all shapes and sizes, also template plastic so you can cut your own patchwork template shapes. From curved safety pins and glass headed pins to applique and dressmaking pins - all the pins you could need are right here! 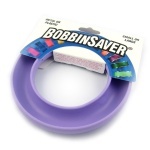 Hoops and frames to hold material in place for hand quilting, tapestry, embroidery and other craft projects. 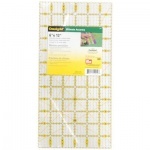 Omnigrid rulers and other accessories such as quilt ruler handles, fabric grips and tape measures. 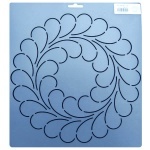 Plastic quilting stencils with pre-cut channels for marking out patterns on quilt borders and blocks. 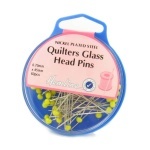 Leather, metal and stick on thimbles in a range of different sizes and styles from top brands. 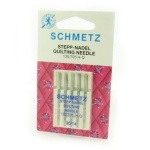 Top quality Schmetz machine needles in a range of sizes for quilting, embroidery, and general sewing. 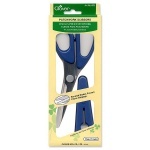 Clover patchwork scissors, pinking shears and dressmaking shears for right or left handers. 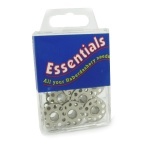 Servicing kits, tweezers, dust covers as well as bulbs and oil to keep your machine in tip top shape! 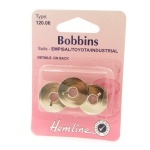 Metal and plastic bobbins, suitable for brands including Elna, Bernina, Singer, Janome and Husqvarna and Pfaff. If you're wondering where to buy quilting supplies online, you've come to the right place! 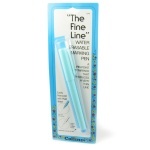 We stock a huge range of quilting tools and accessories for quilting, from top manufacturers such as Clover, Olfa, Prym and Omnigrid among others - whether you're a beginner quilter looking for the basics like rulers, rotary cutters and mats and stencils and templates, or an old hand needing consumables like fabric markers, fabric glue and pins and needles, we've got every patchworking tool you can think of! We've got hand quilting tools and machine quilting accessories, whichever is your preference, and we also stock some really useful specialist quilting supplies such as the Clover Mini Iron, desk needle threaders, bobbin holders and more - all great to put on a gift list! Remember we are based here in the UK, and we pride ourselves on our fast delivery service, so you can usually have your quilting supplies in your hands within a day or two of ordering!